Our father in the faith, John Romanides (1927 – 2001), was a prominent 20th century Orthodox Christian priest, theologian, and writer. He argued for the existence of a “national, cultural and even linguistic unity between Eastern and Western Romans” that existed until the intrusion and takeover of the West Romans (the Roman Catholics) by the Franks and or Goths (German tribes). The Church is the body of Christ, which is comprised of all those faithful in Christ; of those who participate in the first resurrection and who bear the betrothal of the Spirit or even those who have foretasted theosis (deification). The Church has existed even before Creation, as the kingdom and the glory that is hidden within God and in which God resides, along with His Logos and His Spirit. By a volition of God, the aeons were created, as were the celestial powers and the incorporeal spirits or angels therein, and thereafter, time and the world within it, in which man was also created, who unites within himself the noetic energy of the angels with the logos-reason and the human body. The Church is both invisible and visible; in other words, She is comprised of those who are enlisted (in active duty) on earth and those who are in the heavens, that is, those who have triumphed in the glory of God. Among the Protestants there prevails the opinion that the Church is invisible only – where the sacraments of Baptism and the Divine Eucharist are merely symbolic acts – and that only God knows who the true members of the Church are. The Orthodox Church, on the other hand, also stresses the visible aspect of the Church. Outside the Church, there is no salvation. The Church, as the body of Christ, is the residence of God’s uncreated glory. It is impossible for us to separate Christ from the Church, as it is to separate the Church from Christ. In Papism and Protestantism there is a clear distinction between the body of Christ and the Church; that is, one can participate in the body of Christ, without being a member of the Papist church. This is impossible for Orthodoxy. According to the Calvinists, after His ascension, Christ resides in heaven, and consequently the transformation of bread and wine into the actual Body and Blood of Christ is impossible. A complete absence of Christ. Approximately the same thing is highlighted in the Papist church, because Christ is regarded as absent, and through the minister’s prayer, He descends from the heavens and becomes present. This implies that Christ is absent from the Church. Members of the Church are – as mentioned previously – those who have received the betrothal of the Spirit and the deified ones. When the ancient Church referred to the body of Christ as the Church, and Christ as the Head of the Church, they of course did not mean that Christ was spread out bodily all over the world and that He – for example – had His Head in Rome, the one hand in the East and the other in the West, but that the whole of Christ exists in every individual church with all its members, that is, the Saints and the faithful of the universe. RELATED Do You Wish To Be Happy? In this way, according to the teaching of the Fathers, when we perform the Divine Eucharist, not only is Christ present, but all His Saints and the Christians of the Universe are present, in Christ. When we receive a tiny morsel of the Holy Bread, we receive all of Christ inside us. When Christians gather together for the same reason, the whole Church is gathering together, and not just a fraction of it. This is the reason that it has become predominant in Patristic Tradition to refer to the church of a monastery as the “Katholikon”. The destination of all the faithful is theosis (deification). This is everyone’s ultimate objective. This is why a Christian must proceed “from glory to glory”; in other words, the slave must first become a salaried worker, then a son of God and a faithful member of Christ. There cannot be salvation outside the Church. Christ offers redemptive grace to all people. When one is saved outside the visible Church, it means that Christ Himself has saved him. If he is a heterodox member then he is saved because it was Christ who saved him, and not the religious “offshoot” that he belongs to. His salvation therefore is not effected by the ‘church’ he belongs to, because One is the Church that saves – and that is Christ. Wherever the Orthodox dogma does not exist, the Church is in no position to opine on the authority of the sacraments. 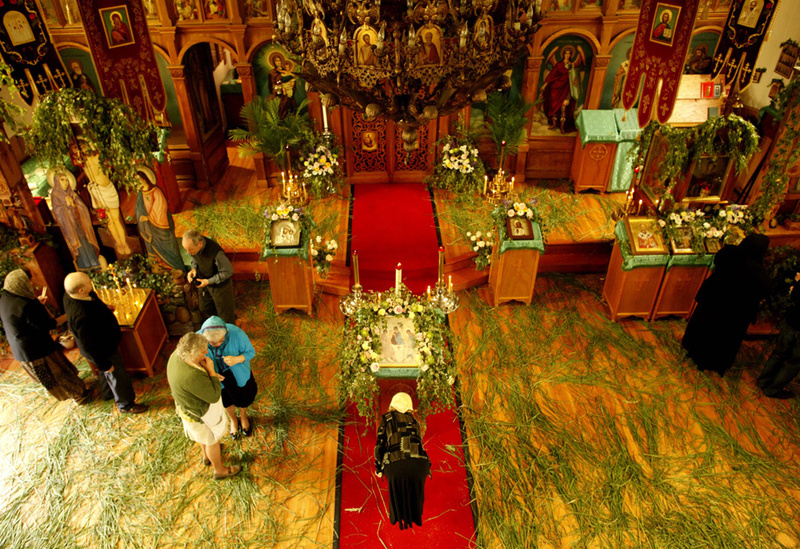 According to the Fathers, the Orthodox Dogma never separates itself from spirituality. Wherever there is an erroneous dogma, there is an erroneous spirituality and vice-versa. RELATED What Beef Have Women Theologians with Divine Order? There are many who separate the dogma from piety. That is a mistake. When Christ says “become ye perfect, as the Father is perfect” it implies that one must be familiar with the meaning of perfection. 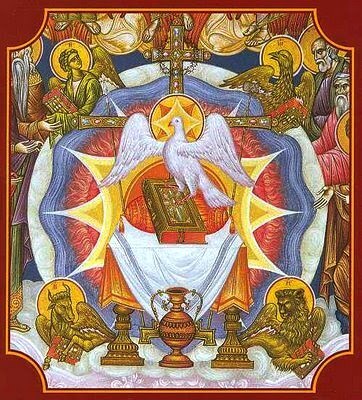 The criterion for the authority of the sacraments for us Orthodox is the Orthodox dogma, whereas for the heterodox, it is Apostolic Succession. For the Orthodox Tradition, it is not enough to trace one’s ordination back to the Apostles, but to possess the Orthodox dogma. 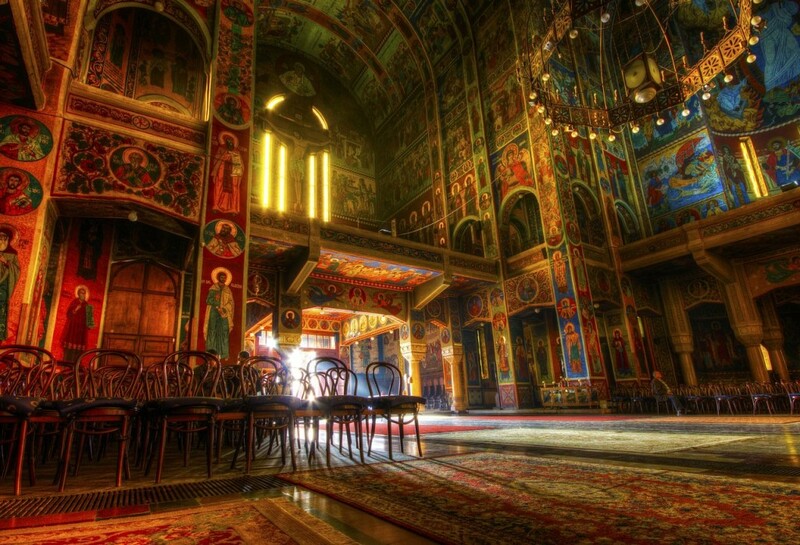 The terrestrial, actively engaged Church is the Orthodox Church. “Orthodox dogma” and “Scriptural teaching” are one and the same thing, because the dogma exists, and it comes from within the Holy Bible. Share the post "On The Church"